Sleeping in the chalet is a unique and unforgettable experience, both in winter and in summer. Immersed in beautiful wild nature, you will not be disturbed by any noise. Dedicate yourselves a special treat, like having a glass of wine in the panoramic sauna while enjoying the sunset. It is a magical experience! After an exquisite dinner prepared with care by our chef Luciano you can relax in luxury and comfort. 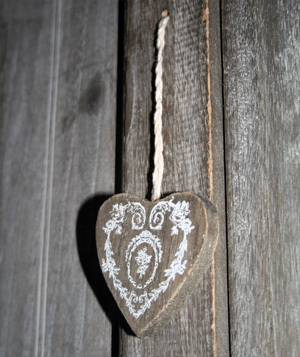 Enjoy the warmth of the wooden décor, a space designed especially for you, comfortable and special. During winter you will be cradled by absolute silence and the candor of the snow. In summer the harmonious sounds of nature will accompany your sleep. Visit our rooms. Each one is unique and special, decorated with love. Each one is a promise of magical sensations. Fill in the form to receive more info about prices and availability. We are looking forward in seeing you. We have: double rooms, triple rooms, rooms for 4 and 6 people. Prices are for half board. A double bed, a single bed and a french bed on mezzanine, private bathroom and window with balcony. A double bed, two single beds on mezzanine, window with balcony and private bathroom. A double bed, a french bed on mezzanine and private bathroom. A double bed, private bathroom and window with balcony. Two bunk beds, private bathroom and window with balcony. 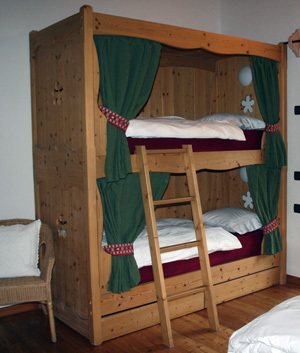 Two bunk beds, a french bed, private bathroom and window with balcony. Ask for further information without commitment or book you holiday here!